A Mercer 401k can be a great 401k plan for most people, and Mercer is a name that is known and trusted in the financial sector. There are a number of plans that can be tailored to fit the company and employee needs. 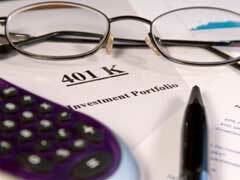 These plans are considered some of the best 401k plans available, and Mercer provides three core services. These are consulting, outsourcing, and investing concerning pension and retirement funds. A Mercer 401k may or may not allow loans, depending on the specific company, and if a loan is allowed under the specific plan it must be approved by Mercer before being distributed. The 401k plans offered by Mercer normally include the common 401k benefits, and profit sharing is often a feature of the plan as well as defined employee contributions. An employer who offers Mercer 401k participation to employees can choose automatic eligibility immediately, unlike some plans which may require a waiting period after hire before you can participate and contribute. Any 401k hardship withdrawal will usually be assessed a ten percent penalty, as well as federal and state tax liabilities, but this is true with every plan regardless of who administers it. Employer matching can be a feature up to the defined percentage, and the maximum amount of contributions allowed by the IRS can be made each year. Many employers choose Mercer 401k plans because this company has a global reputation for retirement investment and for excellent customer service and financial advice. When retirement accounts are evaluated from every financial firm that offers 401k administration the average 401k balance by age for Mercer accounts is even with or higher than many other 401k plans. Mercer specializes in the management and mitigation of pension plan investment risks and costs, and the plans offered by this administrator are popular with employees who have the opportunity to participate. Cashing Out 401k To Buy a House - Good or Bad?